Sealaska Heritage Institute (SHI) will open its second, biennial Juried Youth Art Exhibit next week and announce winners during Celebration 2018, scheduled June 6-9. The Juried Youth Art Exhibit will showcase 30 Northwest Coast art-inspired pieces by 25 young artists from 9 communities, including Anchorage, Angoon, Craig, Juneau, Ketchikan, Klawock, Metlakatla, Sitka and Ward Cove. The competition was open to all youth in grades 6-12 and entries were judged by Tlingit artist and teacher X̱ʼunei Lance Twitchell. The level of detail and sophistication in some of the pieces is a beautiful thing to see, said SHI President Rosita Worl. SHI will award $350 for first place and $200 for second place for competitors in middle school. The institute will award $500 for first place, $350 for second place and $200 for third place for competitors in high school. The funds will go to the school or organization identified by the winners that gave them instruction in Northwest Coast art. All youth chosen to exhibit will receive a specially-made Juried Art Show t-shirt and winners also will receive a certificate. The exhibit will open with a First Friday reception scheduled 4:30-7 pm, Friday, June 1, at the Juneau Arts & Culture Center in Juneau and run through June 30. Winners will be announced at 4 pm, Wednesday, June 6, at the Walter Soboleff Building during the awards ceremony for SHI’s ninth, biennial Juried Art Show and Competition, a separate event for adult Northwest Coast artists. The Juried Youth Art Exhibit was sponsored by Kathy Ruddy of Juneau. Major sponsors of Celebration 2018 include Sealaska, Alaska Airlines, Southeast Regional Health Consortium, BP Alaska, Rasmuson Foundation, Sitka Tribe of Alaska, GCI, Salon Cedar, Southeast Stevedoring Corporation, Wells Fargo Foundation and Wostmann & Associates. A list of all sponsors will be published in the Celebration program and broadcast during the event. Sealaska Heritage Institute is a private nonprofit founded in 1980 to promote cultural diversity and cross-cultural understanding through public services and events. The institute is governed by a Board of Trustees and guided by a Council of Traditional Scholars, a Native Artist Committee, and a Southeast Regional Language Committee. Its mission is to perpetuate and enhance Tlingit, Haida, and Tsimshian cultures of Southeast Alaska. 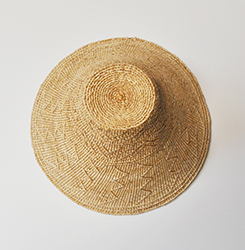 Caption: “Dajáangaa,” a red-and-yellow cedar hat by high school student Bianca Adams of Ketchikan, is one of 30 pieces that will be on exhibit at SHI’s second, biennial Juried Youth Art Exhibit. (Photo by Natasha Phillips, courtesy of Sealaska Heritage). Contact kathy.dye@sealaska.com for high-resolution version of photo.